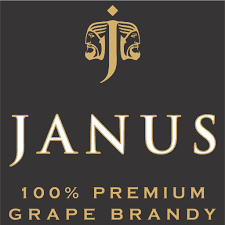 In 2015, Sula Vineyards, India's #1 wine company announced the launch of JANUS – India’s first 100% premium grape brandy. This is another milestone for the company who are proud to announce that JANUS has been awarded a Bronze Medal in the tasting category at the International Spirits Challenge (ISC) 2016. 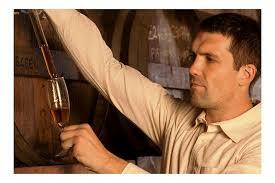 ISC is the most authoritative, respected and influential spirits competition in the world. In the blind tasting JANUS took home a bronze from an impressive line-up of spirits. Winning an ISC award is an impressive achievement for any spirit that passes the scrupulous blind assessment from the experienced panel of specialist judges. JANUS is currently available in 750 ml and 180 ml. A 750 ml in Karnataka is priced at Rs 1900, Andhra Pradesh Rs 2390, Telangana Rs 2265. In Goa, Pondicherry, Daman and Silvassa JANUS is retailed at Rs 1500 and available across leading outlets. It is manufactured by Artisan Spirits, 100% subsidiary of Sula Vineyards. award-winning wines are available nationwide at the finest hotels and restaurants, and are also exported throughout the world. Sula is on track to sell a million cases of wine in 2016. Firmly committed to remaining at the forefront of Indian wines, Sula continues to experiment with new varietals, engage in sustainable agriculture and support the local rural economy. Sula is well on its way to becoming one of the world’s most sustainable wine producers. In addition, the company is also a leading wine and spirits importer, with Sula Selections, a portfolio of prestigious brands like Remy Cointreau, Hardys, Ruffino and Asahi.